PRAYER PROMPT ••• Last night, before I went to bed, I was scrolling through Facebook. My brother-in-law posted a video of a motorcycle police pursuit. It was one of those things where you had to watch; you had to find out what happened and if the guy got caught (yes, he did). It was a tense seven minutes and eerily quiet. The one being pursued was reckless and the pursuer was relentless. I honestly don’t know how either motorcyclist stayed on given some of the hairpin turns they took, especially since the chase took place at night. I thought of that video again this morning and realized how often I’ve been the guy on the run. I’ve hopped on my proverbial motorcycle and darted out into the dark road with abandon. Determined to do things my way. Make up my own rules, giving little thought to the idea that my choices may hurt others. And yet, the Holy Spirit pursued me. He stayed right behind me through every road and every alley I tried to dart down. He would occasionally clip my back tire and though I may have gotten ahead of Him again, He always caught back up. And praise the Lord, He caught me. 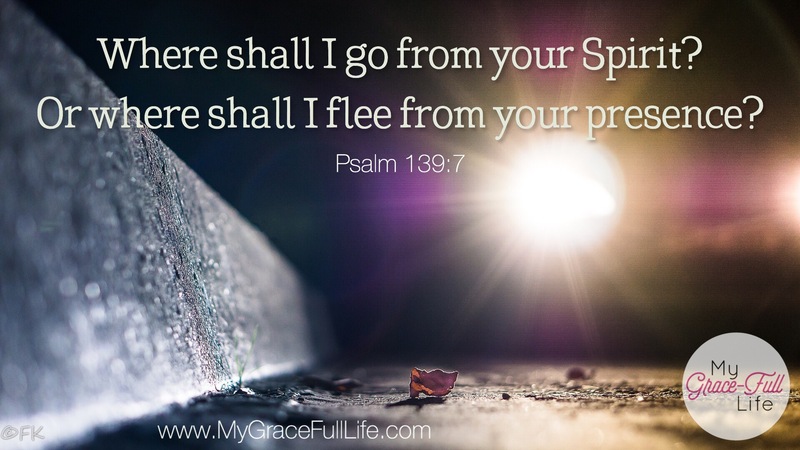 Before I got seriously hurt, the Holy Spirit brought me to a place of surrender. Any of this relatable to you? Have you ever burned the proverbial road with your own agenda? Psalm 139 is a beautiful example of how God pursues us, even before we seek Him. He has searched us and knows our hearts and our actions. He even knows what we’re going to say before we say it. We cannot hide from God because He is all-knowing and all-present. God is our Creator, having known us before we were even conceived. Today, as you pray, thank the Holy Spirit for always being with you. Thank God for knowing you so well, and for not giving up on you, but pursuing you so you could have both a personal relationship with Him and eternal life through Jesus. God gives you such profound words! Thanks for being His vessel to speak to us. Blessings! What a perfect analogy! You teach/write with such wisdom! Love this post.